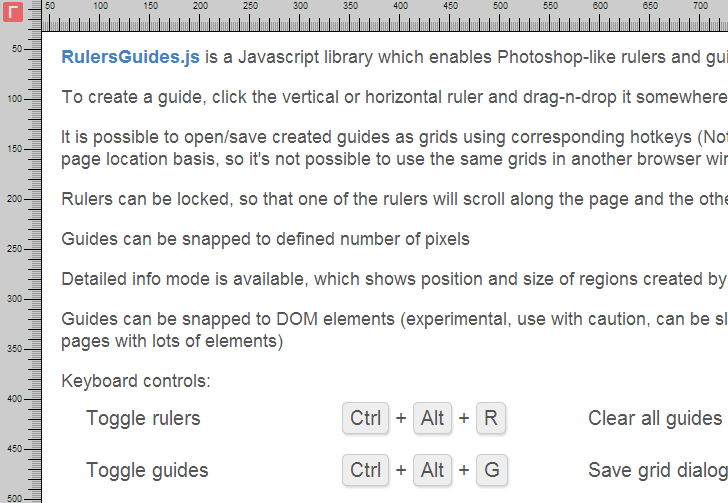 It is possible to open/save created guides as grids using corresponding hotkeys. Rulers can be locked, so that one of the rulers will scroll along the page and the other will be always visible. Guides can be snapped to defined number of pixels. Detailed info mode is available, which shows position and size of regions created by the guides. Thank you for writing this article. After reading every “introduction” post, article, etc.. about photoshop, this post brought the “aha moment”. So again, thank you!